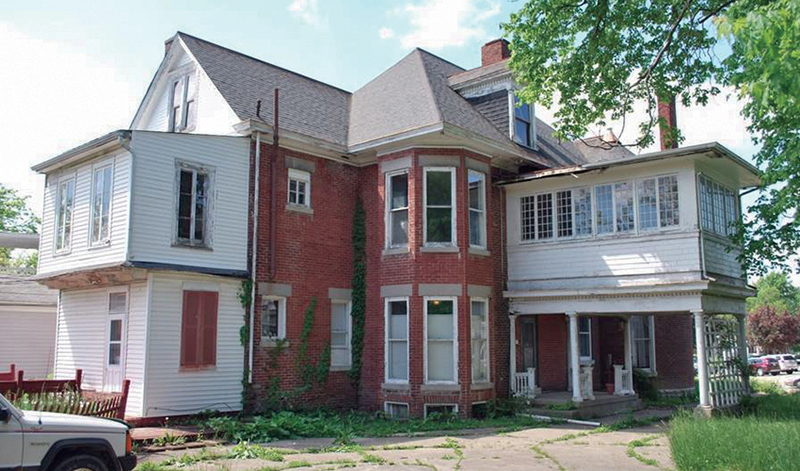 People with vision in Seymour and Richmond use preservation to revive their historic neighborhoods and downtown. 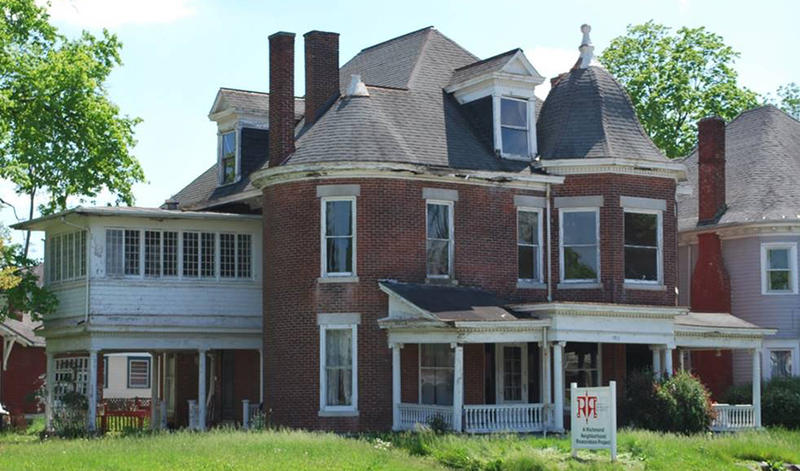 The push to save any historic building starts with passionate people who can squint at a dilapidated or damaged structure and see the potential, people who can envision the “after” when what’s before them is a wreck. 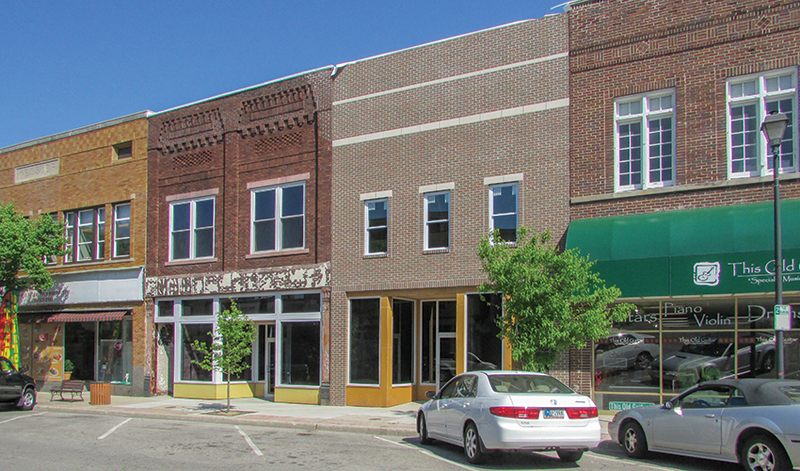 In their mission to revitalize downtown, the staff and board of Seymour Main Street develops the vision and does some of the heavy lifting. 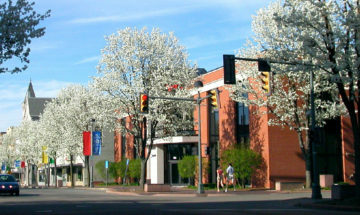 The group manages a matching grant program to spur buildings owners to rehabilitate facades, offers down payment assistance to entice new businesses to move into downtown buildings, and offers loans for property owners to encourage renovation of historic buildings, particularly at the street level. 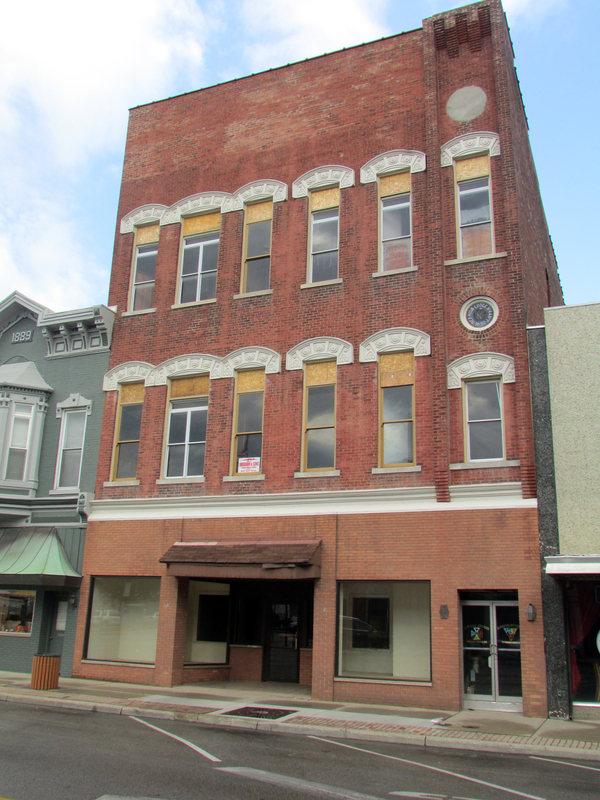 Recognizing that an important structure would continue to decline, the group bought the historic Knights of Pythias lodge on Chestnut Street in 2011, rehabbing the façade to make it more attractive to potential buyers. 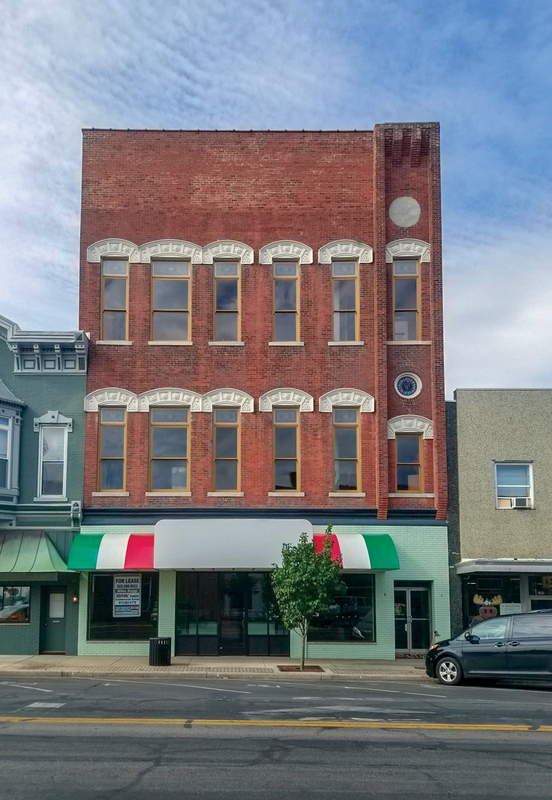 To encourage investment in Seymour's historic Knights of Pythias lodge, Seymour Main Street bought the structure and undertook a facade rehab to attract potential buyers. 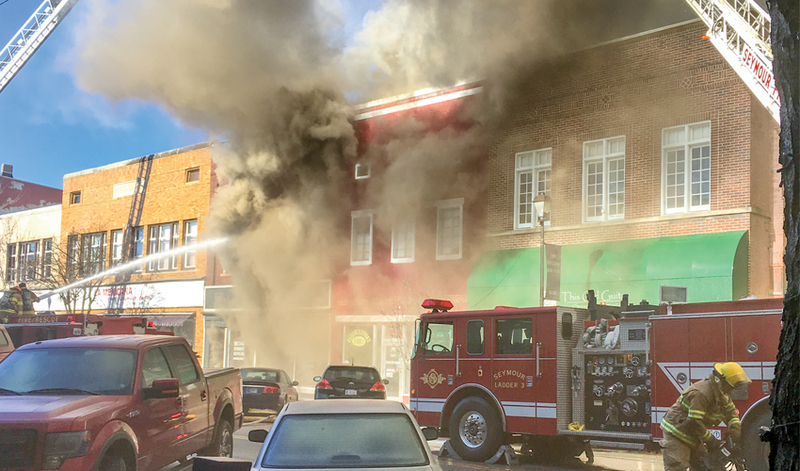 And just after the new year in 2017, when a fire damaged one commercial building and nearly destroyed another, Seymour Main Street intervened to preserve the historic streetscape, buying the landmarks and directing the rehabilitation. 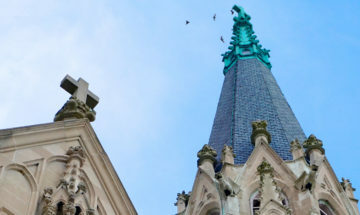 “We thought, ‘Let’s preserve them, let’s bring them back, and let’s not have a missing tooth in the facades,’” adds Tom Goecker, whose company, Goecker Construction, handled the project. 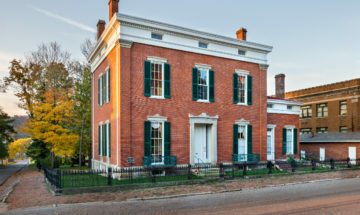 In addition to smoke and fire damage, both structures suffered from water pouring through the holes in the roof and façade as their fate remained in limbo during the ownership transfer, leaving piles of black sludge to be removed before restoration could begin. The buildings got new roofs, rebuilt storefronts, and, in the case of the 1940s building, a reconstructed front façade. On the 1908 commercial building, workers saved the first floor’s tin ceiling but otherwise left the interiors unfinished so new owners can configure the space to suit their businesses. 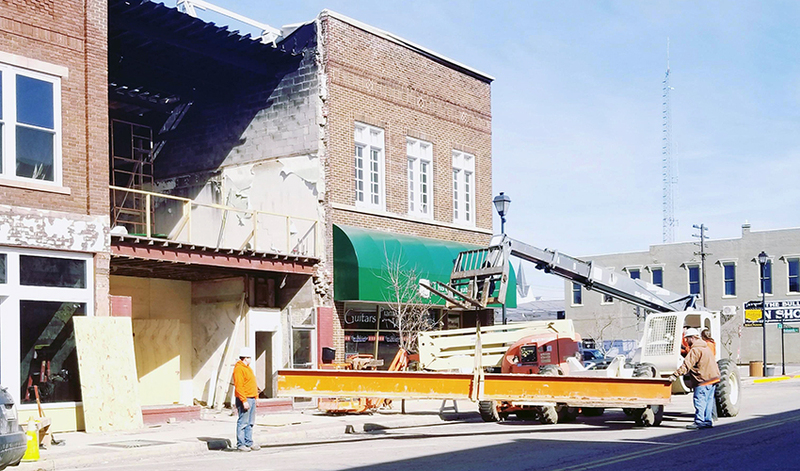 Seymour Main Street poured its own money into the project and tapped city tax increment financing dollars, as well as money netted from fundraisers and individual contributions. Both buildings went on the market earlier this year. 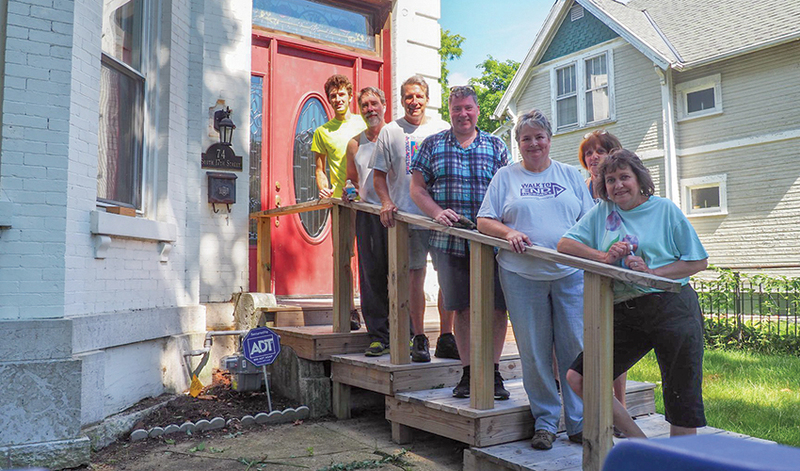 Four years ago, a group of volunteers formed Richmond Neighborhood Restoration (RNR), Inc. with the goal of revitalizing the community’s historic neighborhoods by strategically saving deteriorated historic homes. 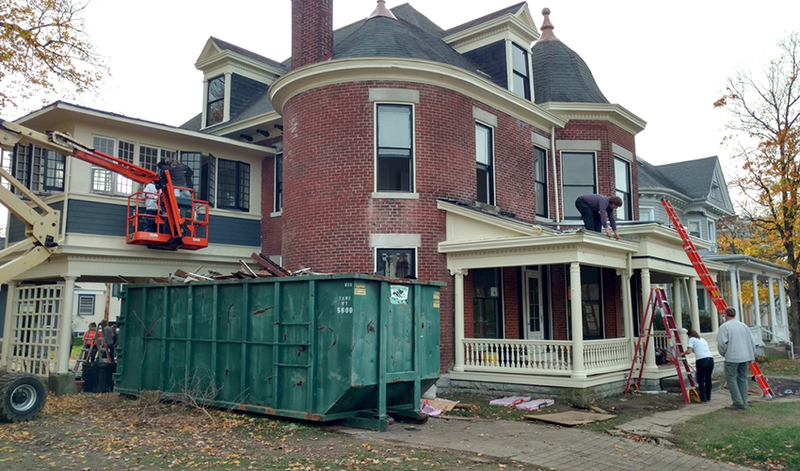 They began putting their mission into practice with a hands-on transformation of the c.1906 Bockhoff House, a two-story frame home on 19th Street, after convincing the bank that foreclosed the property to donate it. 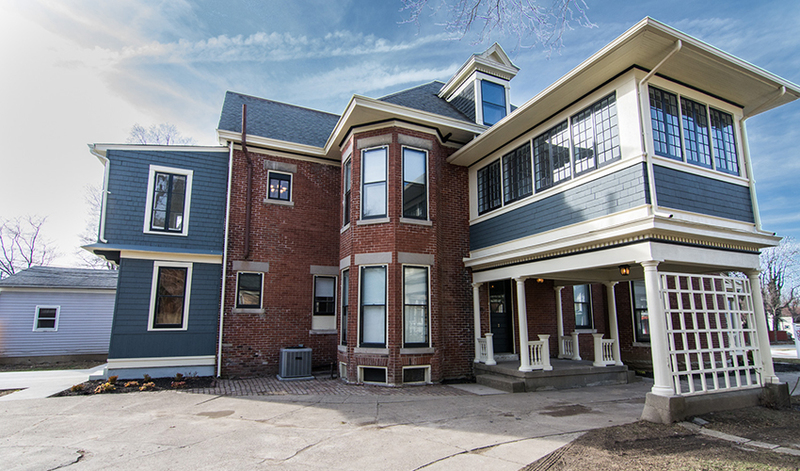 Transforming it from multiple apartments back to a single-family dwelling, the group sold the house and used the proceeds to fuel its next project: the c.1901 Elwood McGuire House, an eye-catching manse on East Main Street on Millionaire’s Row that the owner agreed to sell to them at a reduced price. 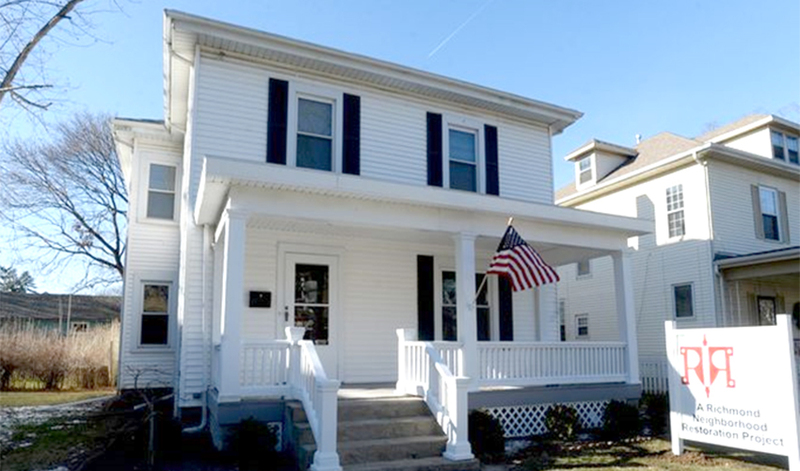 The $200,000 renovation added fresh paint inside and out, removed carpet to expose the original hardwood floors, and gave the interior a more modern floorplan and updated kitchen. 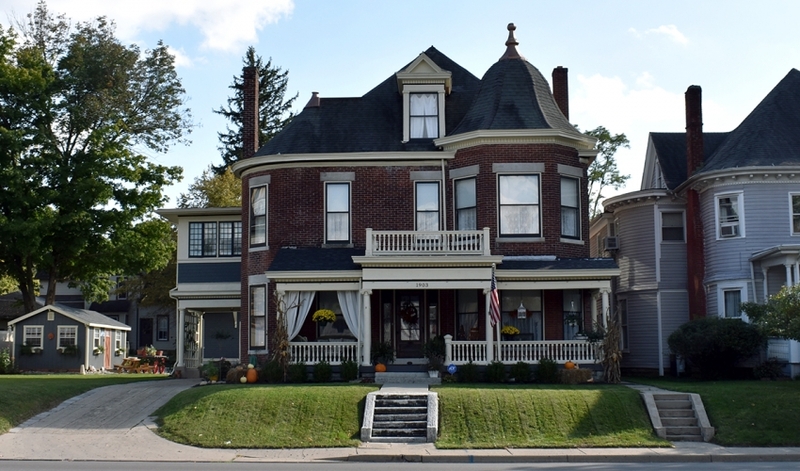 RNR sold the house in 2017 to Richard and Linda Butler, Richmond natives living in Ohio who had watched the home’s rehabilitation on trips home to visit family. Now returned to Richmond, they are continuing the landmark’s transformation. 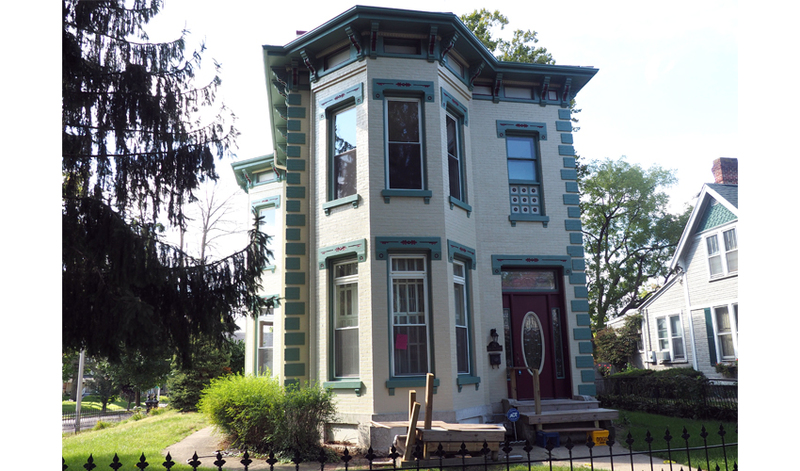 RNR used the sale proceeds to seed their newest project: a late nineteenth-century home on 17th Street donated to the group to ensure it would not be demolished or divided into apartments. 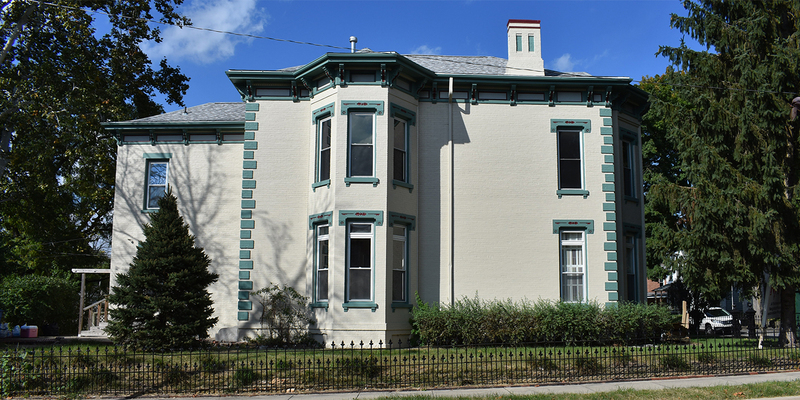 Richmond Neighborhood Restoration's second project renovated the c.1901 Elwood McGuire House on East Main Street.